Truth by Kbaig: We Want Peace but With Dignity!!! 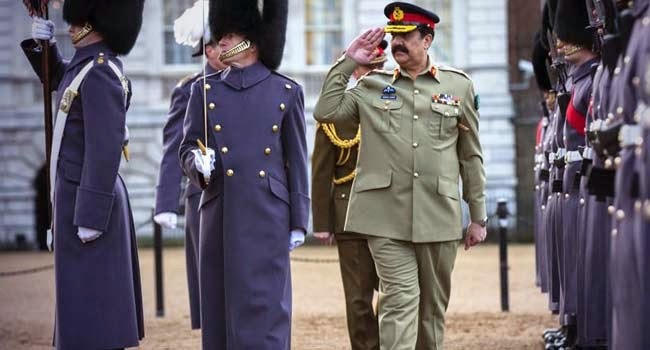 The statement given by General Raheel Shareef, Chief of Army Staff of Pakistan Army during his visit to International Institute of Strategic Studies, UK that “Pakistan wants Peace but with Dignity and Honor” was actually an effective reply on international level to Indian war mania which has been observed since Hindu Extremist Narendra Modi came into power. General Raheel Shareef, made this clear to USA and UK during his visit to these countries that aggressiveness and violations of ceasefire adopted by India over Line of Control and working boundary are creating problems in Pakistan’s war on terror. Major General Asim Bajwa, DG ISPR clearly said in a press conference at London that India is suffering with war hysteria and we know its treatment. 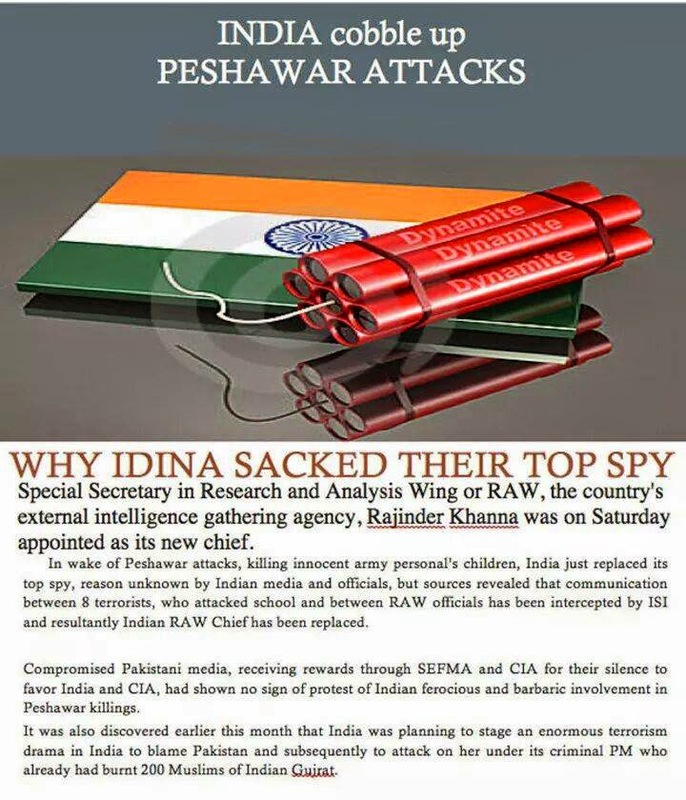 Chief of Pak Army was forced to take a stern stance against India because extremist Hindu govt. of Modi that came into power due to its elections campaign based upon anti-Pakistan and anti-Islam sentiments; now in order to satisfy its extremist voters India has resolved to unprovoked violations over Line of Control (LoC) which has been extended to working boundary as well. Dozens of innocent Pakistani civilians have lost their lives due to Hindu terrorism over Pakistani borders. Moreover, the statements given by Indian Ministers are aggressive as well which shows that in near future Modi govt. has plans to attack or launch a limited war against Pakistan. Indian plans might be imagined from Indian Defense Minister’s statement given on 14 January 2015 at Lucknow that India will teach such a lesson to Pakistan that Pakistan will forget proxy war in Indian Held Kashmir. 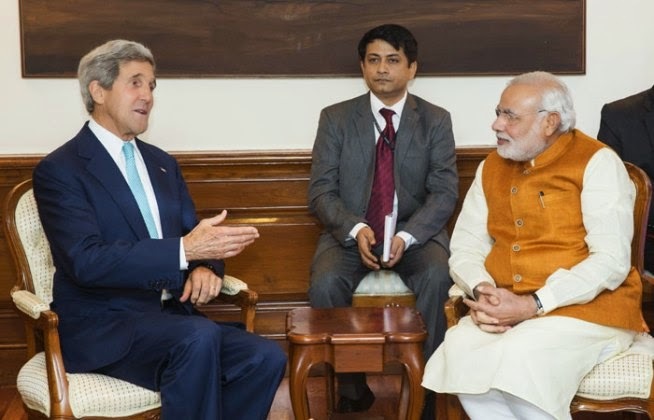 He said that although he cannot disclose this to the media that what India is about to do but in coming days Indians would notice that Pakistan has decreased dispatching terrorists in Indian Held Kashmir which is already 60-70% less due to steps taken by India. Same like statements had been given by Indian Interior Minister Rajnath Singh against Pakistan that despite of giving befitting reply to Pakistan several times; Pakistan has not learned a lesson. 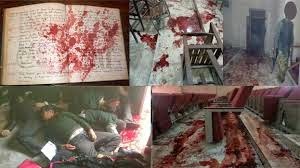 The aggressiveness in the statements of Indian Ministers shows that India is suffering with pessimism due to effective operation against Indian sponsored terrorists in Pakistan and improving ties between Afghanistan and Pakistan especially after attack over Army Public School Peshawar on 16 December 2014. On the 2nd day of the Peshawar School terrorist attack COAS General Raheel Shareef along with General Rizwan, DG ISI visited Kabul with the undeniable evidence of links between Mulla Fazlullah TTP terrorist and Indian secret terrorist network of RAW; not only this the evidence of live conversation between terrorists attacking Peshawar School and directions being given to them from Afghanistan was also included. All this evidence was undeniable for Afghan President Ashraf Ghani and ISAF Commander. On the basis of such evidence, Afghan President was forced to issue the orders of arrest of Mulla Fazlullah either alive or dead.